1. The plight of persons with disabilities deeply touched the Special Rapporteur. She learned from their strength and welcomed their active engagement in discussing adequate housing from their perspective, and in sharing their testimonies. 2. At the root of many testimonies lies the threat to a hard-won right to live independently. For persons with physical and mental disabilities, as well as for the chronically ill, adequate housing means living in homes that are adapted to specific needs; close to services, care and facilities allowing them to carry out their daily routines; and in the vicinity of friends, relatives or a community essential to leading lives in dignity and freedom. Often, the compounded impact of an acute shortage of adapted and affordable accommodation, combined with other changes to the welfare system, has left them “between a rock and a hard place”: downsizing or facing rent arrears and eviction. Many testimonies refer to anxiety, stress and suicidal thoughts as a result, precisely the type of situations that should be avoided at all costs. Serious concerns about the direct impact of these reforms were already raised in 2012: “The range of reforms proposed to housing benefit, Disability Living Allowance, the Independent Living Fund, and changes to eligibility criteria risk interacting in a particularly harmful way for disabled people. … As a result, there seems to be a significant risk of retrogression of independent living and a breach of the UK’s Article 19 [CRPD] obligations.” The Department for Work and Pensions has made available additional funding under the DHP scheme to assist those affected by this measure, but, as noted above, DHPs are time-bound and limited in scope. 3. According to Inclusion Scotland, the government of Scotland estimated that 95,000 Scottish households will be affected by this measure in the first year. In Scotland, 79 per cent of the households expected to be affected (76,000) contain a disabled person. They will lose an average of 13 pounds in housing benefit. Inclusion Scotland noted with concern that persons with disabilities will be among those least able to continue to meet their rent payments. 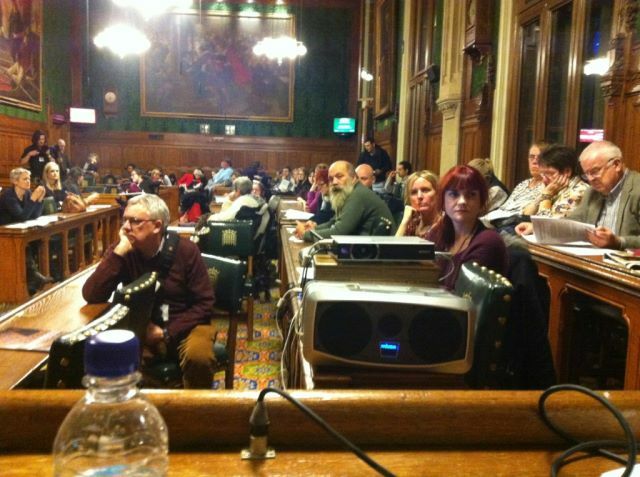 House of Lords and House of Commons, Joint Committee on Human Rights, Implementation of the Right of Disabled People to Independent Living (2012), para. 161. Submission of Inclusion Scotland for this report.